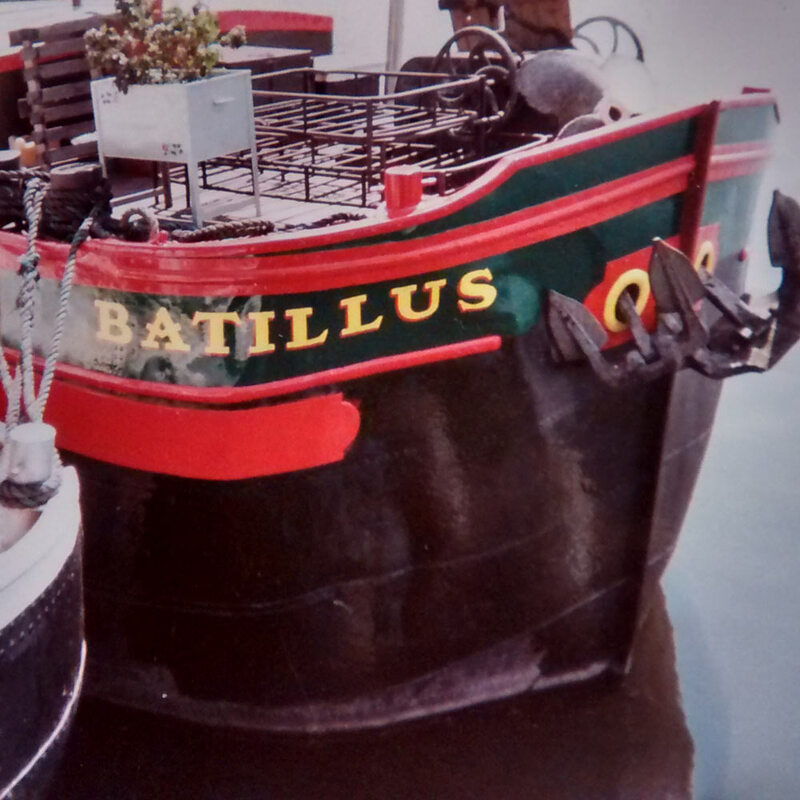 In 1989/1990 (I think I saw the New Year in on board) I hung over the side on a ladder and painted the name BATILLUS on a friend’s big old flat-bottomed barge (a péniche) on the Seine, at Conflans-Sainte-Honorine. I’m far from being a proper signwriter, so I made a stencil out of lino (paper would get damp) and chalked the letters before painting. The name appears in four locations on the hull; this one is on the slightly bashed-in starboard bow so was perhaps the trickiest. (Yes I notice the imperfect kerning every time I see it but once it’s up there you’re stuck with it.) Like all proper boats, Batillus has a history: I’ve been told her engine is from a German U-boat, and her named appeared on a list of barges that were to be requisitioned to carry tanks across the Channel in operation Sea Lion, Hitler’s planned invasion of England.